September, it’s a month of new changes for everyone I feel like! From seasons to schedules, everything around here is changing! This has been a big month for us already and it’s only the 7th! If you follow along with my life on Insta, Snap, or are part of my Facebook group then you know my big girl baby started pre-school….whew, that has been hard on this mama! AND not to mention my baby-baby Huxx, will be 1 in 17 days…..y’all I might ruin my keyboard over here with all these tears. I JUST CANT. 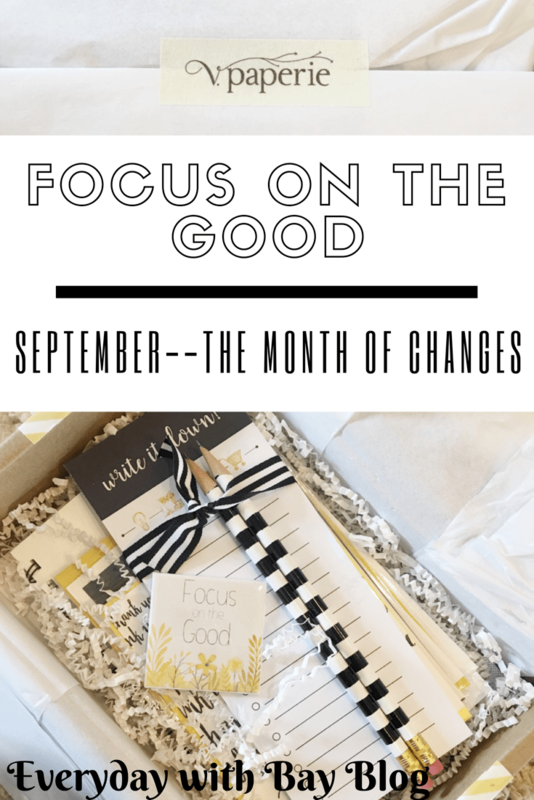 I have been so wrapped up in sulking and reminiscing on the baby days and how we got to where we are that I was forgetting to “Focus on the Good” and man has this changed my outlook on how our life is changing! 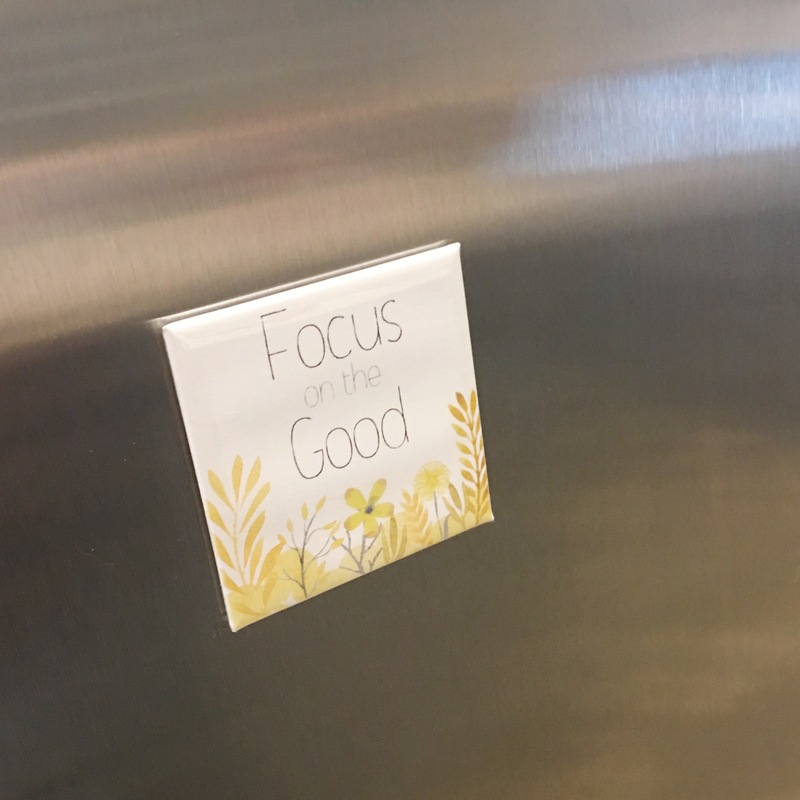 I received a subscription box this month from V.Paperie with a small magnet that read “Focus on the Good” and man has that tiny magnet done some big things in my life! Okay okay, now I know you are wondering what V. Paperie is and let me just tell y’all… it is THE cutest! 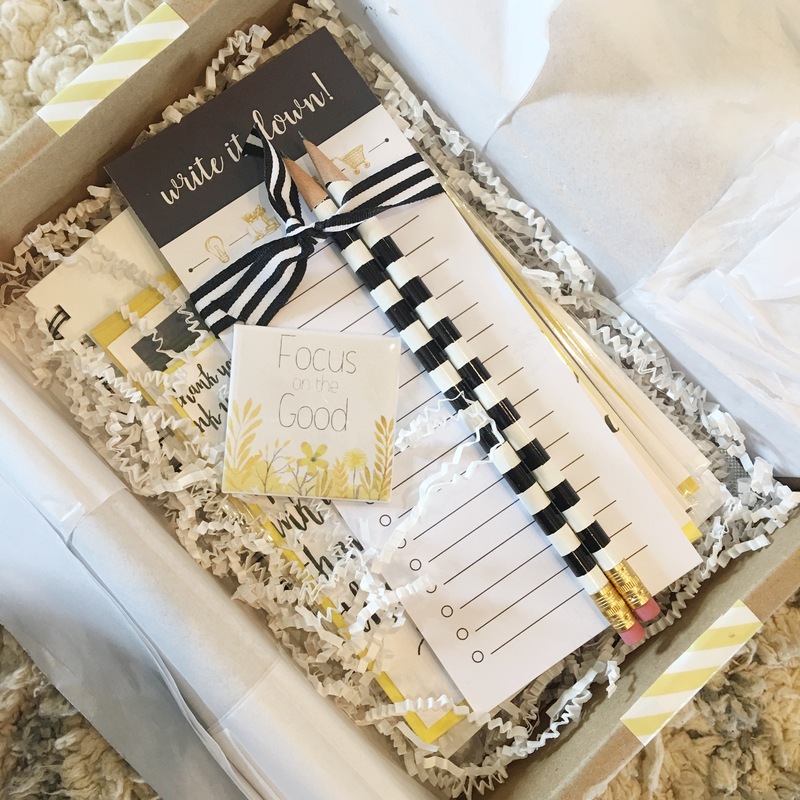 It’s a box full of designer inspired paper goods and accessories! 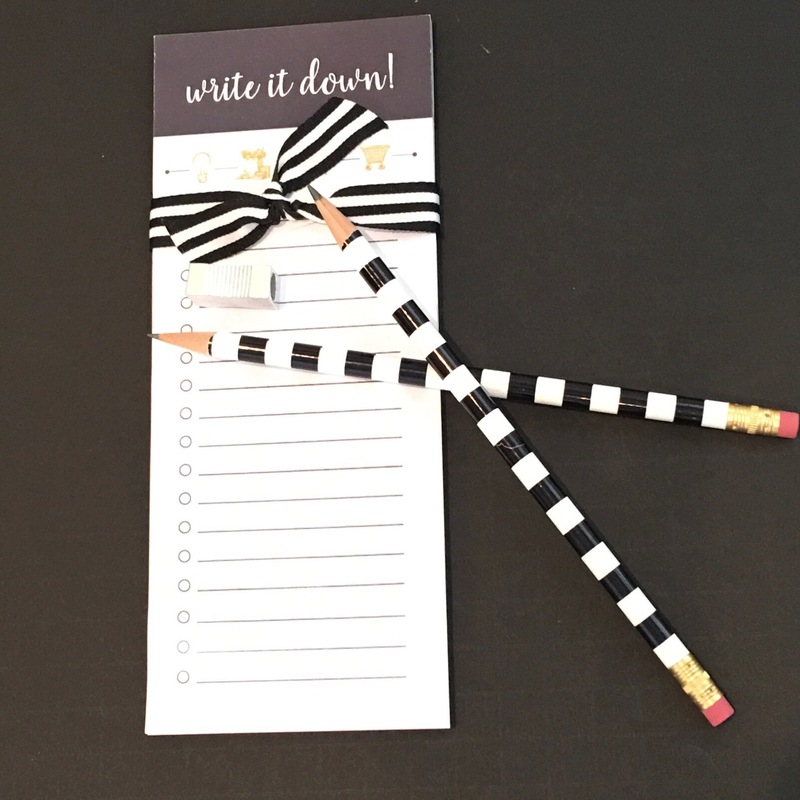 From planners and calendars, to pencils and cute magnets these boxes have so many fun items! 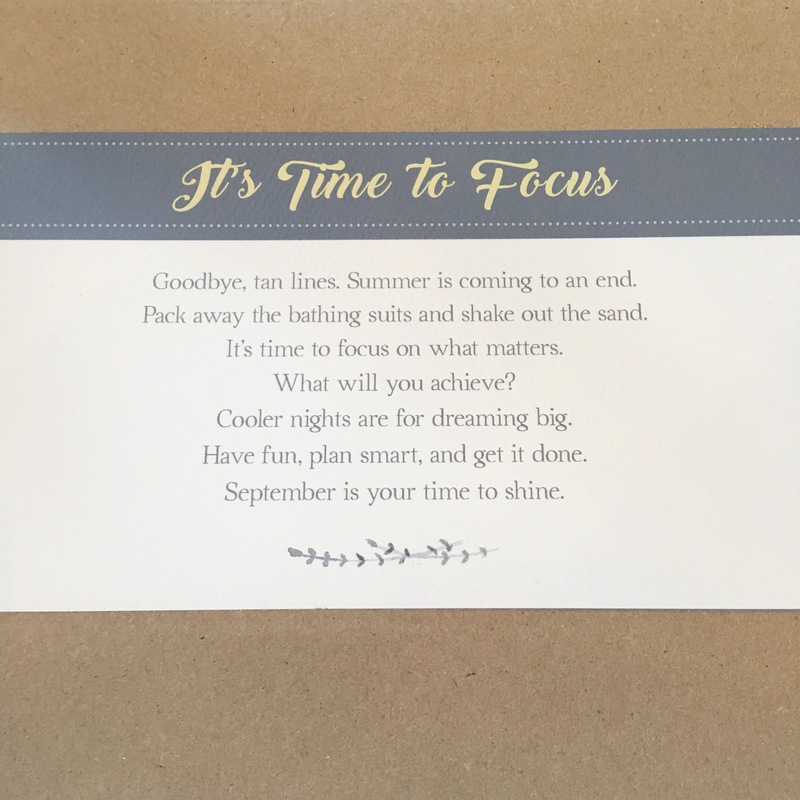 They even come with 3-5 greeting cards that correlate to each month’s box theme! 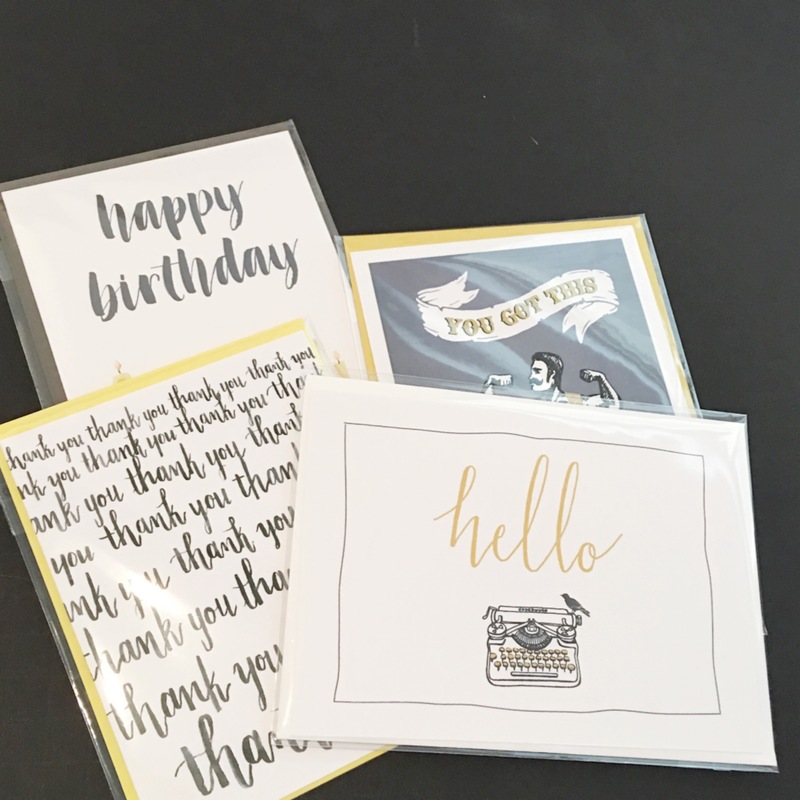 V.Paperie is bringing back the art of a hand written note and I am totally in love with this! 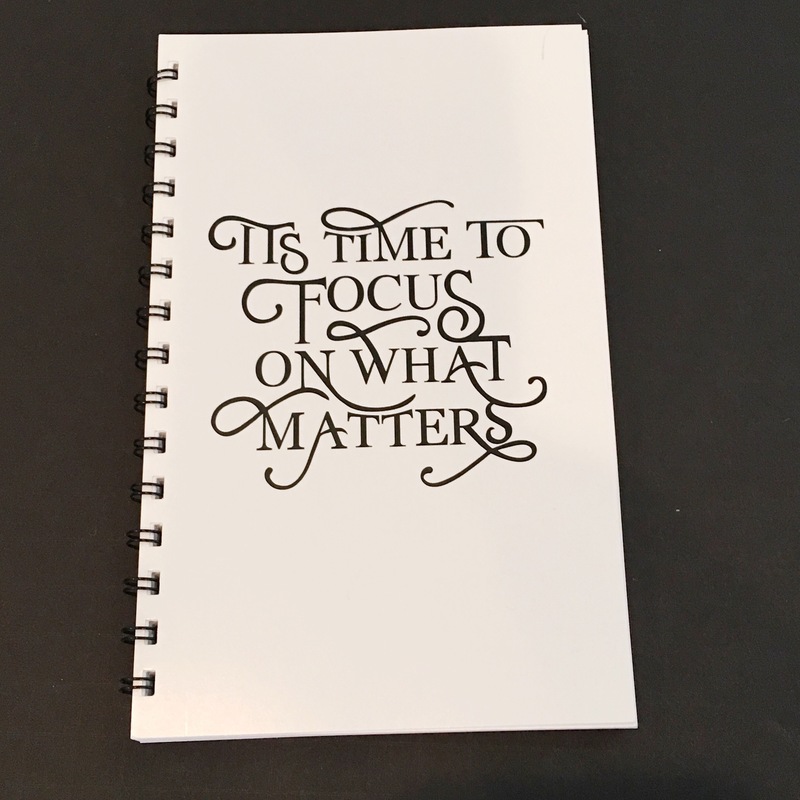 It’s hard for our generation but think back to the olden days (or days your parents/grandparents talk about) when they longed for a letter from a loved one or friend and how exciting it was to look in the mail for that special letter, well now with V.Paperie YOU have the just the right goods to make this happen! V.Paperie is delivered straight to your door and is encouraging you to reach out and write that note or special encouragement to someone! PS. If it’s a holiday month, no sweat they will send corresponding cards with that box! #allthepraisehands from the mom who forgets to get a Father’s Day card until the day of EVERY year! So I wanted to share with all of you the contents of my first box because it’s literally just too cute!! Also use “WELCOME10” for 10% off your first box!!! Plus look at the gifting options where you can send a box to someone you know would love it! Special thanks to V. Paperie for sponsoring today’s post! All opinions, content & images are that of my own! Sponsored posts help keep Everyday with Bay blog up & running!